One of the most effective ways to pull ahead of competing businesses is to optimize your website for search engines. Search engine optimization (SEO) is the act of tailoring the content on your site to appear high among the results of an online search. It is becoming a necessity for companies that want to strengthen their online presence. Implementing keywords is the simplest, most basic approach for improving your search engine rankings. To improve your SEO, it is important to find the right long tail keywords for your business. Long tail keywords are phrases that have at least three words. The benefit of a longer keyword is that it is more specific. Instead of targeting a broad audience, long tail keywords focus on a niche group. Your chances of ranking as one of the top search results are significantly higher if you target a more specific search and, therefore, a more specific type of person. Long tail keywords also often attract a more advanced group with a higher chance of conversion than general consumers. Long tail keywords, like other types of keywords, are not helpful unless you use the correct phrases. If you use the wrong keyword, you are less likely to reach the audience that you are trying to target. Before improving your SEO, you need to identify the ideal long tail keywords for your business. One of the easiest ways to determine the best long tail keywords for your SEO is to use Google’s tools and features. Google Suggest is a great resource. Begin typing an SEO keyword into the search box and look at the options that pop up beneath the box. For example, if you type “digital advertising” and the options “digital advertising for your small business” and “digital advertising through social media” appear, you know that many people have searched those phrases. If any of the suggested phrases apply to your business, they could be potential long tail keywords. Another great feature that Google offers is related searches. Scroll to the bottom of the Google search page. The engine always lists some other phrases that people have searched frequently. 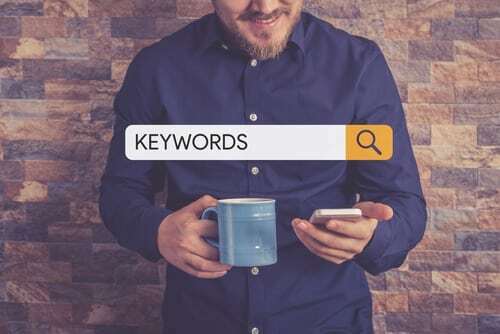 Similar to Google’s Suggest, if any of the related searches connect to your product or services, consider using them as long tail keywords. Google’s suggestions and related searches are not the only keyword tools that will inform you about potential long tail keywords. Wordstream has a free keyword tool that will give you a list of suggestions for long tail keywords. Wordstream also offers the keyword niche tool that provides you with a number of free searches. You can enter a topic and receive a list of possible niche keywords. Google Trends is another great, free option for identifying long tail keywords. It compiles information about which keywords and phrases people are searching the most around the world, giving you the ability to easily optimize long tail keywords on a global level. Some social media platforms also have features where you can learn top keywords. For example, YouTube has a feature in its advertising page that can tell you common searches. Twitter, one of the first platforms to rely heavily on hashtags, also has a page that can tell you popular search trends. Analytics has information that can help you in almost every aspect of your business, including SEO keywords. Explore your analytics and you can find the searches that lead most people to your website. By identifying the words or phrases that are cultivating traffic for your site, you can begin accentuating those keywords in your content. Though some of the common searches may not be relevant to your business, many of them may apply nicely and help drive even more people to your website. Google is not the only website that can help you identify ideal long tail keywords. eHow relies heavily on keyword research, using specific algorithms to determine SEO keywords that are the most effective. Identify phrases that eHow is focusing on. eHow content is often lower-quality and cheaper, making it easy to out-rank if you write strong content using the same long tail keywords. Q&A websites such as Quora, Yahoo Answers, and Answers.com are also fantastic resources. Look into the questions people are asking on the websites. By turning the questions into long tail keywords for your content, the people asking the questions will begin going to your website instead of submitting the queries on Q&A websites. Do not immediately adopt a keyword phrase, however. If a question seems overly specific or irrelevant, it may not be worth using in your content. You want to attract a large group of people, so it is important to identify long tail keywords that are niche but common enough to drive a lot of traffic to your site. Wikipedia is another easy way to find out what people are searching for online. There are multiple areas on a page where you can identify keywords. First, look at the table of contents at the top of the page. You can turn some of the headers into keywords. For example, if you are on the page about website analytics and one of the headers reads “types,” you could use the long tail keyword “types of website analytics,” assuming it applies to your business. The “See Also” section at the bottom of the page, similar to Google’s related searches, will provide suggestions for possible long tail keywords. Any word or phrase can be an SEO keyword. However, before tailoring your content to a certain phrase, research effective long tail keywords. With great SEO, your website will appear at the top of rankings and you will have significantly more traffic. Contact us for more information about how to improve your SEO with long tail keywords.